PHOTO OF THE WEEK: 20 Women Changemakers is Here! 20 Women Changemakers is Here! America to Africa, the Middle East and beyond. If you purchase it on Amazon, please leave us a review! We have bookclub questions in the book if you’d like to have your own bookclub gathering. We thank you for being a part of TWE! 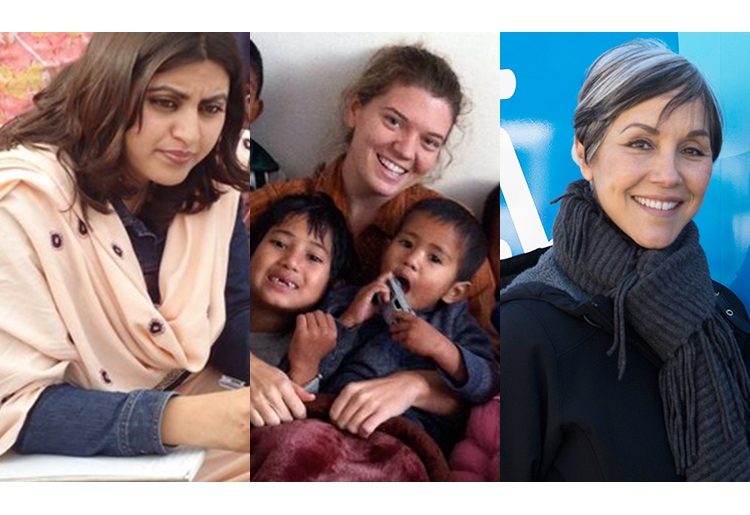 Here are three of our amazing women: Gulalai Ismail in Pakistan, Maggie Doyne in Nepal and Doniece Sandoval, San Francisco. (Left to Right) Gulalai Ismail, who is fighting for girls’ rights in Pakistan through her organization, Aware Girls. Maggie Doyne, who used her babysitting money to build a safe home for Nepali orphans. Doniece Sandoval, founder of “Lava Mae” who brings showers and dignity to the homeless in San Francisco. You can also ask for it at your local bookstores. The sales will help us continue with our work on this website, podcasts, and future radio programs. It will also spread the word about our remarkable women and what they are accomplishing, which is our number one objective!